A screenshot from Canadian carrier Telus shows that the phone coming to T-Mobile in the U.S. as the HTC Amaze 4G, is heading up north as the...HTC Amaze 4G. Originally, the handset was expected to launch as the HTC Ruby. 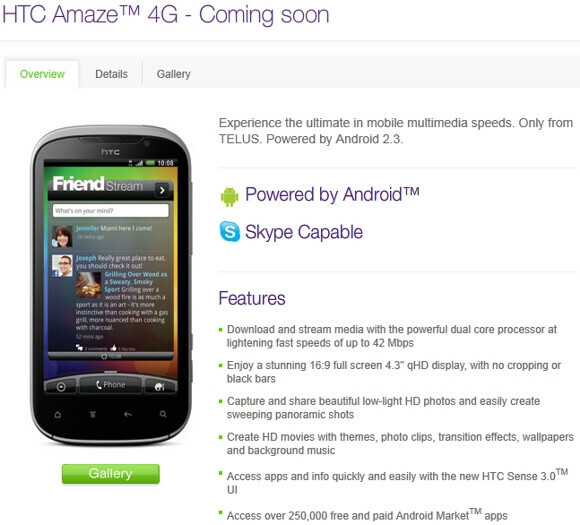 The screenshot also shows that while there is no listed release date, the HTC Amaze 4G is "Coming Soon". We recently showed you some video of the phone, which scored a high 2,477 on the Quadrant Benchmark test. 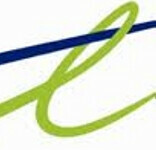 The HTC Amaze 4G will offer speeds of up to 42Mbps on Telus' HSPA+ pipeline. While pricing was not disclosed, T-Mobile plans on offering its version of the HTC Amaze 4G for $259 with a launch on October 19th, according to a leaked roadmap we reported on yesterday. Besides mentioning the speed of the phone, Telus' screenshot points out the 16:9 aspect ratio of the 4.3 inch qHD screen, with "no cropping or black bars". The site also mentions the phone's ability to take pictures and video in HD while allowing you to add transition effects, background music and more. Android 2.3.4 is aboard with HTC's Sense 3.0 UI running on top. first Like big screens, screw you apple!!!!! YESSSSS!!!!!! finally, a good phone on TELUS!